TAIPEI - A Taipei-based women’s rights group Saturday opened the island’s first museum dedicated to Taiwanese “comfort women” forced to work in Japan’s wartime military brothels. At a ceremony held to coincide with the international Human Rights Day, Culture Minister Cheng Li-chun said the opening of the museum bears historic significance because it is a milestone in the joint effort of nongovernmental organizations over the past 25 years. “As a woman, I admire the courage of the ‘amas,'” she said, using the Taiwanese word for grandmothers to refer to the victims. “Comfort women” is a term that euphemistically refers to women, mainly from Asia, who were procured for brothels for the Japanese military before and during World War II, at which time Taiwan was under Japanese rule. Such victims are believed to include women from the Korean Peninsula, the Philippines, China, and Taiwan. 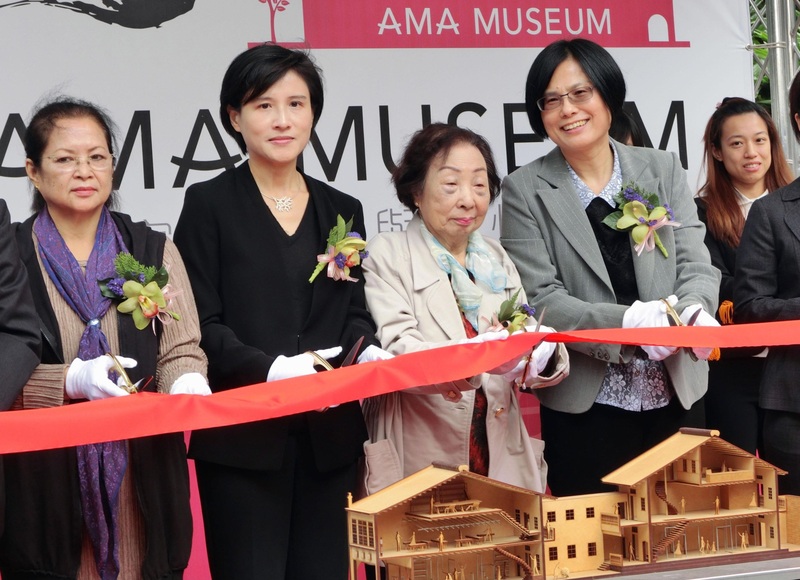 The Taipei Women’s Rescue Foundation began its long effort to establish a museum to tell the life stories of former “comfort women” in Taiwan. 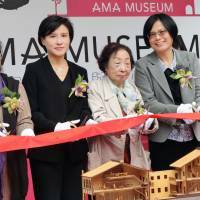 The Ama Museum, located in a nearly 90-year-old building nestled in Taipei’s old district of Dadaocheng, is privately funded and managed by the foundation. The foundation began surveying Taiwan’s “comfort women” in 1992 as part of a campaign seeking compensation from the Japanese government. Historians estimate there was about 2,000 Taiwanese “comfort women,” of whom 58 have been confirmed as victims, according to the foundation. There are now only three alive in Taiwan, with an average age of about 90. Chen Lien-hua, who attended Saturday’s opening ceremony, was illiterate and trapped in poverty when she was young. She was targeted by the Japanese military and eventually lured into sexual slavery on the Philippine island of Cebu. Chen, 92, said she decided to forget all the bitterness in life and keep only the happy memories because living her life is more important. “If you have good health, hardship doesn’t matter,” she said. Lee Yong-soo, a former “comfort woman” from South Korea also attended the opening ceremony. She said she was captured by a soldier and sent to Hsinchu, northern Taiwan, when she was about 15 years old. Lee described the three years of military sexual slavery in Taiwan as “painful,” so painful that she hid the memory at the bottom of her heart. Lee said she is “not at all happy” with a landmark deal struck by Japan and South Korea in December last year to resolve the “comfort women” issue for good, saying all she ever wanted is a formal apology. Executive director Kang Shu-hua said her foundation is against using the Japan-South Korean model for settling Taiwan’s “comfort women” issue. “The Japanese government must offer a formal apology and legal compensations to victims,” she said. Following the Japan-South Korea deal, the Taiwan government drew up a list of demands, which include an official apology, compensation, the restoration of victims’ reputations and dignity, and caring for victims’ livelihoods. The Japanese government has said it will face the “comfort women” issue with other countries “honestly” in accordance with the “different situations” of each country, including Taiwan. The Japanese government in the past set up a fund that distributed “atonement money” to victims. The Taiwanese government finds that kind of solution “unacceptable” because the fund was privately managed and its money was mostly raised through donations from Japanese citizens, and therefore did not amount to official compensation.